Traveling is a passion of mine, but so is kindness and giving back. One of my favorite quotes is from Ellen DeGeneres, “We need more kindness, more compassion, more joy, more laughter. I definitely want to contribute to that.” How can these passions be intersected? Answer: Pack for a Purpose. I am a firm believer in giving back to communities I travel to. As a travel designer, I often travel on FAM trips (familiarization) designed to allow travel professionals to experience destinations first-hand so we can better serve our clients. 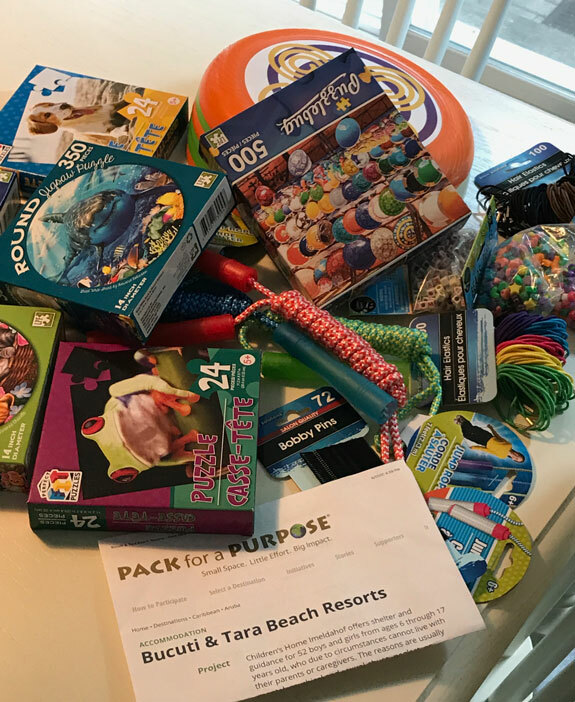 My first experience with Pack for a Purpose was in June on a FAM to Aruba. One of the resorts we were visiting, Bucuti & Tara, requested that we bring supplies for a local children’s home that services children ages 6-17 who cannot live at home for various reasons. I looked up what needs the home had on the Pack for a Purpose website and headed off to our local dollar store to stock up. Only a couple of the travel agents remembered to bring items, so the resort staff were very appreciative. In September, I traveled to Sandals South Coast in Jamaica. 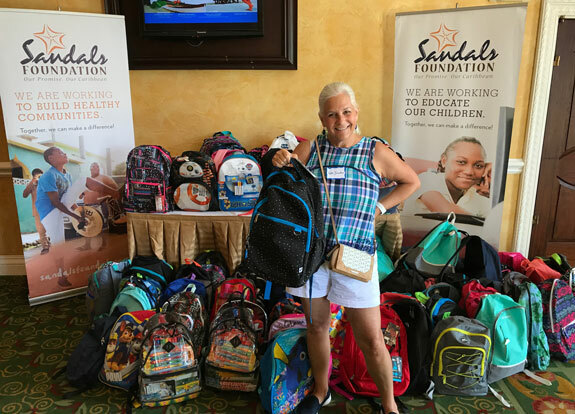 The Sandals home-based agents were all encouraged to bring supplies packed in a backpack for a local school. I was blown away by the generosity and volume of donations! 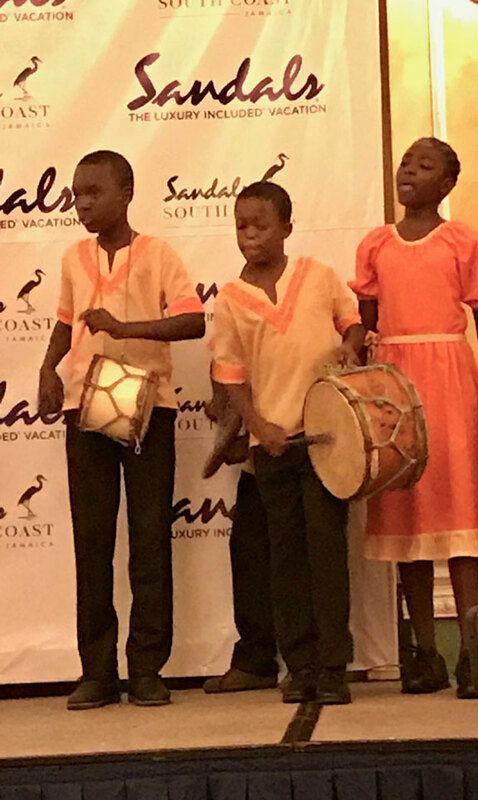 The Sandals Foundation partners with Pack for Purpose, all of their resorts offer Pack for a Purpose. 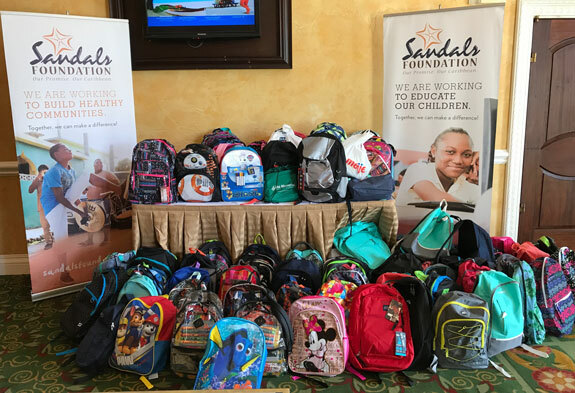 I recently learned that guests and travel agents have given over 10,000 pounds to local schools through Pack for a Purpose and Sandals Foundation. After our Pack for a Purpose backpack donations were collected, we were treated to a special performance by one of the local recipient schools, the Mernsville Primary and Infant School. I loved this performance. These children are so talented and they have won several awards. So, if you are looking for a way to make a difference when you travel I would head over to Pack for a Purpose. They have destinations throughout the world. Perhaps when you are planning your travel you can peruse their hotels and choose one that participates in this worthy way to give back (or better yet have your travel designer do this for you). I have clients who are having their destination wedding at a Sandals next year and I will definitely be recommending that all the guests “Pack For a Purpose”.